FAIRFIELD, Conn., Oct. 17, 2011 (GLOBE NEWSWIRE) — The Calmare® Scrambler Therapy™ medical device is now in use at the Veterans Affairs Medical Center in Jamaica Plain, MA. This Calmare device is on site at the Boston area clinic where it continues to successfully treat veterans suffering from chronic pain. The Calmare Scrambler Therapy device treats intractable cancer pain, chemotherapy-induced peripheral neuropathy (CIPN), failed back surgery syndrome, sciatic and lumbar pain, post-herpetic neuralgia (PHN), post-surgical pain, brachial plexus pain and low back pain (LBP). 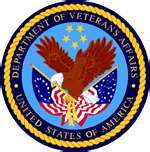 The VA healthcare system includes more than 150 medical centers and nearly 800 outpatient clinics. The use of the Calmare medical device by the VA and military services targets the growing number of veterans and military personnel who suffer from chronic pain. Our therapy is complementary to the Department of Veterans Affairs and Department of Defense initiative for new strategies in pain management which they announced as their ‘War On Pain’ program. For more information on the federal government’s ‘War On Pain’ program, see http://waronpain.fedprac.com.